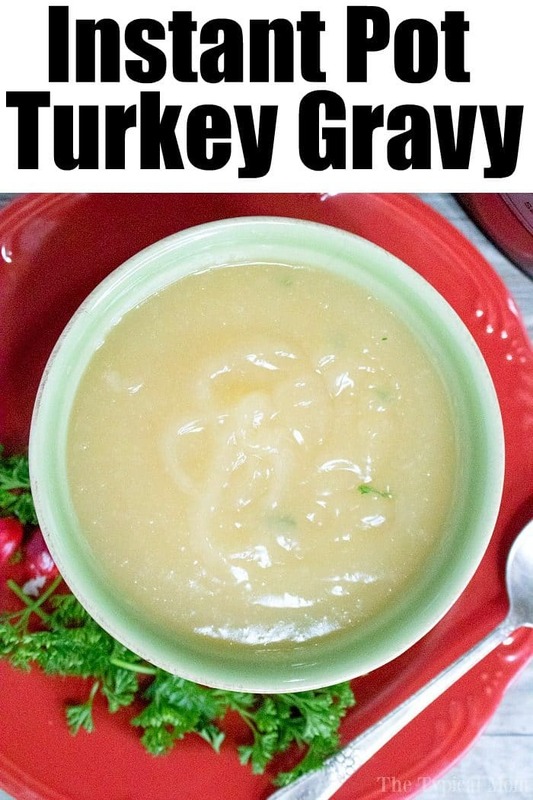 How to cook pressure cooker gravy & turkey this year for Thanksgiving or Christmas! If you’re ready to use your Instant Pot during the holidays we can help. 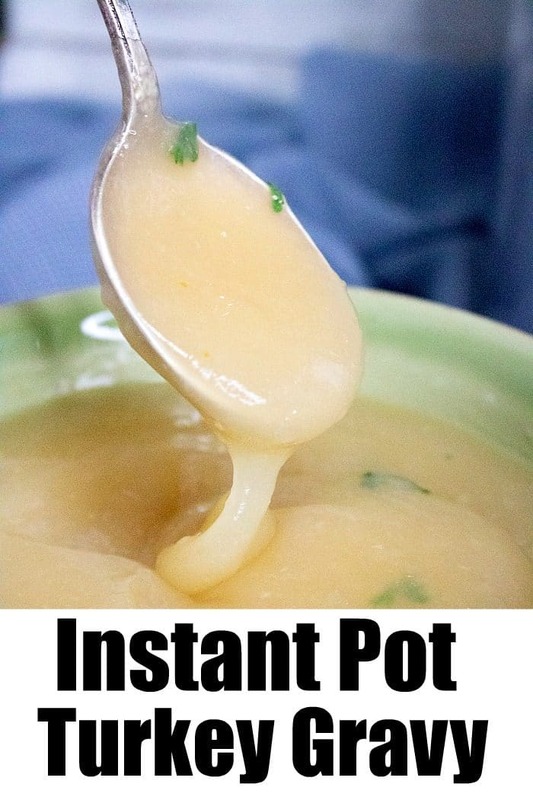 As you know we share a lot of easy Instant Pot recipes here on The Typical Mom. Last week we shared this pressure cooker turkey recipe and now we’re completing the dish with how to cook pressure cooker gravy too! Have you tried making pressure cooker gravy yet?? If you do you can just use our method and add your own ingredients of course, but if you need help with making a rich and flavorful pressure cooker gravy after your turkey has been cooked then we have an easy one to try. I will start by saying I am not a HUGE gravy lover, but I know others like it a lot so I do make it if I am hosting Thanksgiving dinner. Other Instant Pot Thanksgiving recipes you may be interested in if you’re ready to really put your pressure cooker(s) to use this year! 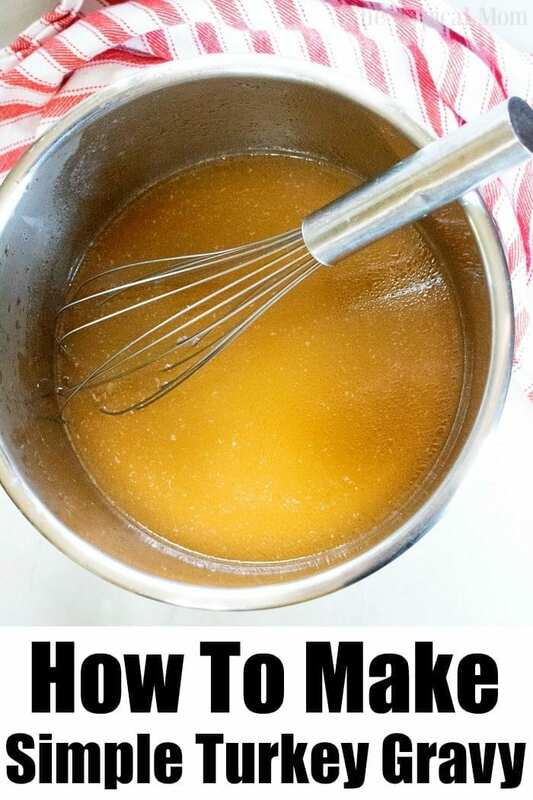 After you have cooked your turkey there will be a lot of wonderful juices left in your pan or pot…do NOT throw these out, this will be the base to your Instant Pot turkey gravy. That is really all you need. It is up to you how much, if any, salt and pepper you add depending on your taste. I suggest not adding any and taste your turkey gravy after it is all done, cornstarch is added and it has thickened. I typically don’t add salt during the saute step because the turkey juices already have a lot of flavor. Plus it is hard to tell just how salty the gravy is until after it has cooled a bit. I’d rather under salt than add too much and ruin the whole batch. Plus everyone has their own preference as far as that goes. I’d rather leave it up to the individual person to choose their seasonings. Believe me, the juices have tons of flavor as is. If you need crockpot gravy instructions we have those too. Here’s the printable recipe you can follow to make Instant Pot turkey gravy. How to cook pressure cooker gravy & turkey this year for Thanksgiving or Christmas! If you're ready to use your Instant Pot during the holidays we can help. Cook pan juices on saute mode in your Instant Pot for 2-3 minutes. Bring to a boil (can do the same on your stovetop on medium heat). Mix cornstarch and cold water together in a small bowl until smooth, then whisk into your pan juices. Whisk together until gravy is smooth, add salt and pepper to taste. Do you have to skim the fat off first? That is preference, I do.